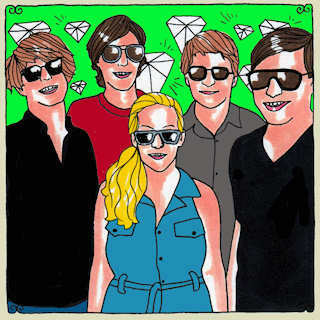 Earlier this month, Daytrotter posted Gold Motel’s session. Greta Morgan, also of the Hush Sound, has perfected the sunnier side of the 60s spectrum with her new group, Gold Motel. I’ve bookmarked this session and plan to repeatedly return to it sometime around June. Something about scraping ice off my car windows and blasting the heat doesn’t lend itself well to Gold Motel.